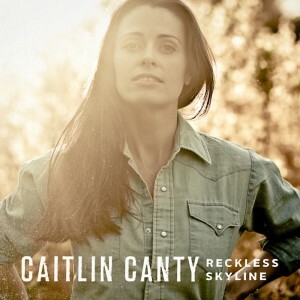 “How can I belong to you and belong to me?” sings Caitlin Canty on “True,” a gorgeous lament from her new album, “Reckless Skyline.” The Vermont native with a casually devastating voice and unshakable poise is bound to be the next great Americana star — except nobody knows it yet. Recorded in just four days with money she raised on crowd-funding website Kickstarter, the 12 songs here sound wonderfully lived-in, with Canty’s easy way with folk, blues and country motifs driving standout songs… Canty is ready to be discovered. She is a consummate songwriter who has collaborated with a number of different bands. This, her third full-length album release, is a fine collection of 12 songs that ranges from country ballads to dark blues and quiet folk. Ms. Canty’s voice is soft, sure and brings to mind Bonnie Raitt, Lucinda Williams and Gillian Welch. That’s pretty good company to be a member of! The opening cut, “Get Up,” is especially compelling and sets the tone for the entire set. It urges the listener to “knock the breath out of your madness / burn your photographs at the edges.” In other words, shake off the blues and self-pity and get back to living. Ms. Canty’s lyrics are sharp, clear, poetic and steeped in nature … The album closes with a whimsical waltz, “Cold Habit,” that lingers on in the mind long after the fade out. You may be familiar with Canty from two previous solo albums, a number of performances with Darlingside, or from Down Like Silver, her musical work with the talented Peter Bradley Adams (Eastmountainsouth). Like many Eph musicians, her time at Williams College laid the foundation for her musical success: in Canty’s case, she took a songwriting seminar one Winter Study at Williams, and her songwriting talents are the bedrock of Reckless Skyline, most of which is her own songwriting work. The album is available on CD from Canty’s website through the link above, or for MP3 download at Amazon. And catch her live in Manhattan at the Rockwood Music Hall on August 5. EphBlog is powered by WordPress and delivered to you in 0.992 seconds using 37 queries..